In particular, the media is more likely to link illegal drugs with violent crimes, sexual assaults and murders than alcohol. This is despite one study finding 47 per cent of homicides in Australia over a six-year period were alcohol-related. Coverage of the recent Rainbow Serpent Festival in Victoria is one example of how the media have linked illegal drug use with violence. There were reports of alleged sexual and physical assaults at the festival, held over five days including Australia Day. But we’d argue there were no more than any alcohol-related violence and sexual assaults expected at a similarly large gathering on Australia Day. Considering media reporting plays an important role in shaping people’s opinions, this might lead people to believe illicit drugs are more likely to lead to violence than alcohol. This is because of a type of cognitive bias or “mental shortcut”, known as the availability heuristic, which leads people to form opinions based on the most recent information they receive. Most violence linked to alcohol and other drugs in Australia is due to alcohol, with 26 per cent of Australians reporting they have been affected by alcohol-related violence compared with 3.1 per cent who reported being affected by violence related to illicit drugs. 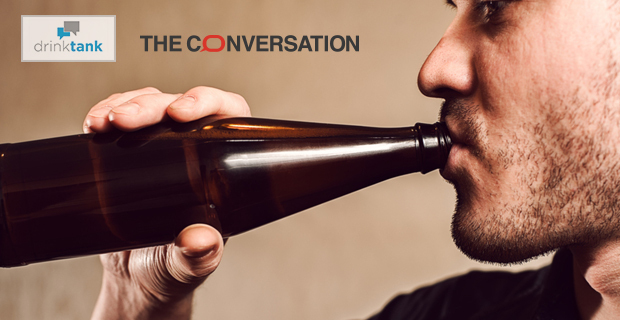 Despite rates of alcohol consumption remaining relatively stable in Australia between 2003 and 2013, there was an 85 per cent increase in alcohol-related family violence over the same time period. While some drugs such as methamphetamine (“ice”) have been implicated in a recent Royal Commission with an increase family violence, the degree to which it plays a role is not clear. MDMA (“ecstasy”) works in a different way. It leads to a release of serotonin in the brain so people tend to become empathetic towards others and emotionally open. So, MDMA is rarely associated with violence. That’s the case unless people take it with other drugs such as alcohol or stimulants, or they take what they think is ecstasy but really is a new or otherwise harmful drug. LSD (“acid”) is a psychedelic drug that binds to certain serotonin receptors in the brain. So, LSD can lead to significant changes in consciousness and perception that are therapeutic in clinical settings. But people can become overwhelmed by the changes in perception caused by LSD at festivals, leading some people to become distressed and occasionally unaware of their actions. There are no studies showing a clear link between the use of LSD and violence. We are not aware of any data that compares emergency department presentations due to alcohol-related violence with amphetamine-related violence. But we know the total number of presentations to emergency departments due to amphetamines (the class of stimulants to which “ice” belongs) pales in comparison to those involving alcohol. A key factor in this situation, of course, is that alcohol is arguably the most widely accepted social tonic in western society. The most recent data show that about 80 per cent of Australians aged over 14 drank alcohol in the past year, with 6.5 per cent drinking it daily. The most recent data show that about 7.2 per cent of Australians aged over 14 consumed “ecstasy” in the past 12 months, 2.1 per cent had used methamphetamine and 1.3 per cent had used a psychedelic drug, such as LSD, in the past 12 months.